Sorry to hijack this thread. Wanted to know same thing if Gravity forms are supported now? 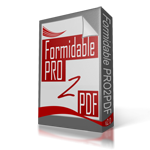 We are nearing the release of the Gravity Forms extension to the E2Pdf plugin, you may subscribe to updates on http://www.E2Pdf.com... we do not spam… ever! Or, install the free version from http://www.wordpress.org/plugins/e2pdf and watch for updates and read the release notes!